It's nice to have a full house, especially when it's filled with old friends. Last week some of my college pals took a 4-day break from their two-week Mexico vacation to come visit. There were many late-night domino games, ghost stories and tons of laughter. 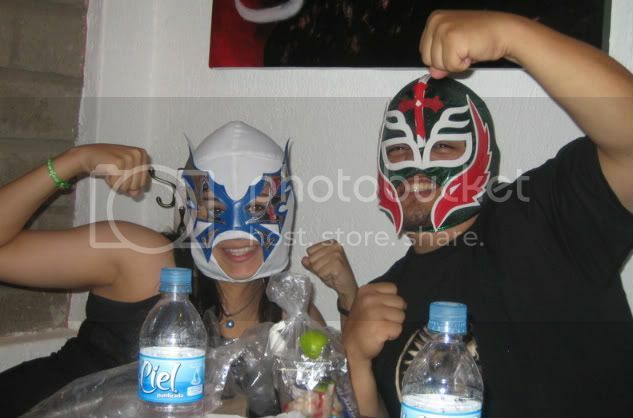 Lupi (left) and Lupe (right) show off their lucha libre poses. Later that night, they both sang along with the bar's mariachi band. And yes, Lupe belted out one of his famous gritos. 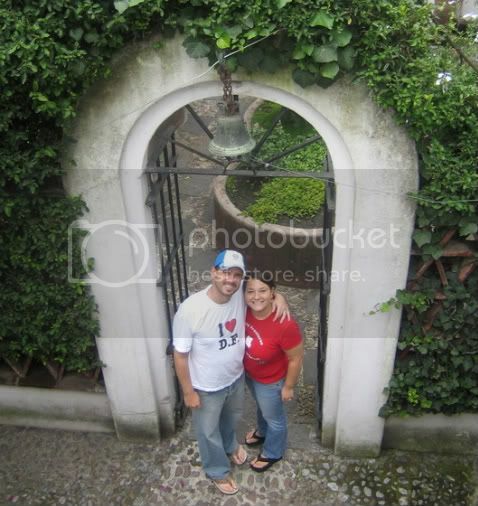 We have very few photos of the two of us together, so our friend Alma found the perfect spot in our garden to say cheese. 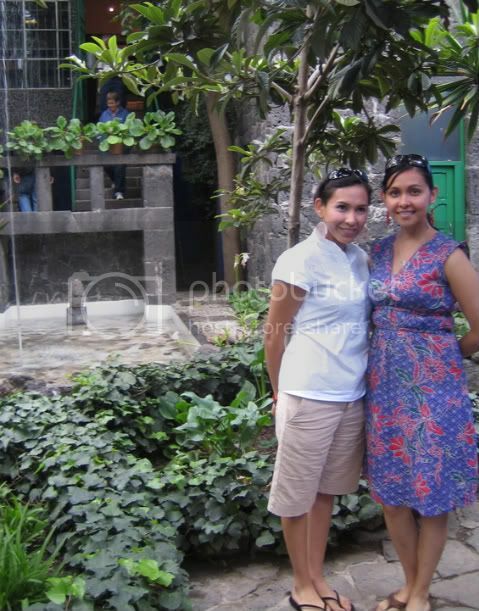 Alma(left)and Luz (right) look fabulous as usual in Frida Kahlo's garden.